Join us at the MIT Press Bookstore for a discussion among three authors of The MIT Press Essential Knowledge Series. The MIT Press Essential Knowledge Series offers accessible, concise, beautifully produced books on topics of current interest. 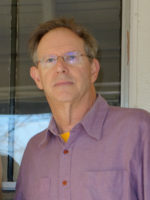 Howard J. Herzog is Senior Research Engineer in the MIT Energy Initiative. His book, Carbon Capture, is a concise overview of carbon dioxide capture and storage (CCS), a promising but overlooked climate change mitigation pathway. J.M. Berger is a fellow with the Counter-Terrorism Strategic Communications Project and a nonresident Fellow with the Alliance for Securing Democracy. His book, Extremism, elucidates what extremism is, how extremist ideologies are constructed, and why extremism can escalate into violence. Lynette A. Jones is Senior Research Scientist in the Department of Mechanical Engineering at MIT and is Editor-in-Chief of the IEEE Transactions on Haptics. Haptics is an accessible, nontechnical overview of active touch sensing, from sensory receptors in the skin to tactile surfaces on flat screen displays.